There's a Tidal wave of hi-res music - so why is the public still confused? How high are your standards when it comes to audio? If you're an average person, the answer is not very. 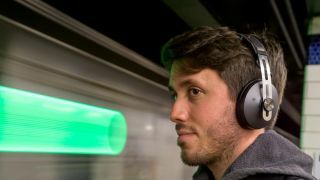 You probably listen to compressed music using cheap headphones in noisy environments like public transport – and think it sounds pretty great. But some people demand more. Audiophiles spend thousands every year on high-end equipment that delivers an experience as close as possible to having Beyoncé there in person belting out "ALL THE SINGLE LADIES." These people tend to be choosy about their formats – vinyl is the best, of course. CDs aren't bad either if you're playing them through a decent system. But the majority of digital music is out of the window – the historical necessity for small file sizes has meant that download and streaming services tend to opt for "lossy" compression (such as the MP3 format) that strips out the bits of the song that most people can't hear. So a few enterprising businesses have launched in recent years to sell or stream high-definition digital music to those who claim to be able to hear the difference. "I would speculate that Tidal is the biggest [high-definition music] service around," says Darren Hemmings from digital marketing agency Motive Unknown. Hemmings is not wrong. Tidal is the streaming music company that was spun off from WiMP and launched in the US and UK in October 2014. It is a service that's been shoved into the limelight, thanks to a buyout by Jay Z and a recent swish celeb-infused relaunch. It promises lossless music at 1,411kbps encoded in the FLAC or Apple Lossless format, far above the industry standard of around 320kbps. The price tag, however, is double its rivals' – £19.99 (US$19.99) a month. There is a new lower-tiered version that costs the same as Spotify £9.99 (US$9.99) but the tracks you get are not lossless. "The first time I listened to Tidal it blew my mind. I was totally sold," says Andy Malt, editor of music business news service CMU. "I was sitting at my desk thinking, I'm going to have to work out some way to afford to pay for this, because I can't go back now. Then I thought, 'Better just compare it to Spotify first.' So I switched between the two and realised I couldn't actually hear any difference at all." Jay Z and Tidal are hoping that for the majority, hi-res audio will be a big subscriber win - something they will need to match the figures of current high-definition audio darling Deezer Elite. Deezer is a French-based streaming company, which has long battled to differentiate itself from market leader Spotify, and recently partnered with Sonos for a high-definition offering called Elite that went live in the US in September 2014 and should go live globally in March 2015. "I would imagine they'll be aggressively pursuing dominance of that particular space," says Hemmings. It too uses 1,411kbps FLAC files, and costs twice as much as the company's £9.99 (US$9.99) standard-definition service. With news that Tidal is also now available on Sonos, Deezer better have some canny advertising campaign ready to compete with images of Daft Punk quaffing champagne with Coldplay at Tidal's relaunch. When it comes to downloads, most press attention has been focused on Neil Young's Pono service. The singer-songwriter declared war on lossy MP3s a few years back, raising more than $6 million on Kickstarter to build his own service that'd deliver the level of quality he wanted. It sells 24-bit, 192kHz audio downloads as well as a large, bright yellow PonoPlayer for listening to them when you're out and about. But the service hasn't gone down well with critics – Ars Technica described it as a "tall refreshing drink of snake oil," while What Hi-Fi wrote that the device was "a touch disappointing." Malt was even less impressed with Pono than Tidal, saying: "[Neil Young] is selling digital music to people who don't understand digital music, or just like the idea of giving Neil Young money. All streaming services will increase their quality as it becomes possible to deliver it reliably. At which point, we'll all be laughing at the people who paid £20 for one album in a format that places most of its sound outside the spectrum of human hearing. He's making MP3s for dogs, basically."